Did You Know Putney's 37 Bus Was Running Back In 1921? History of Transport in London. 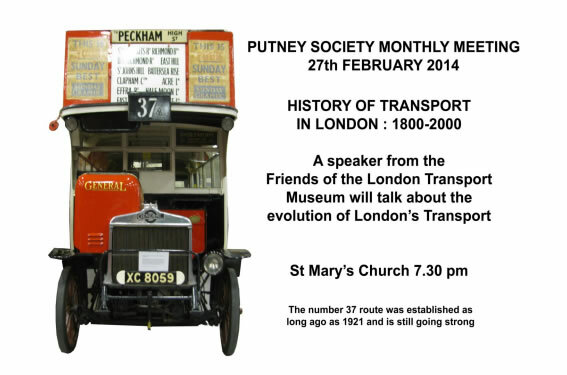 A speaker from the Friends of London Transport Museum will talk about the evolution of London's transport. Image above shows the 37 bus - the route was established in 1921 and still runs through Putney today.